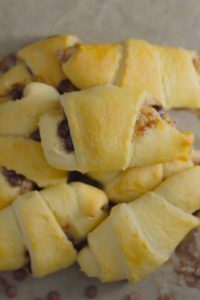 Very easy and simple Chocolate Croissants recipe for a delicious treat! 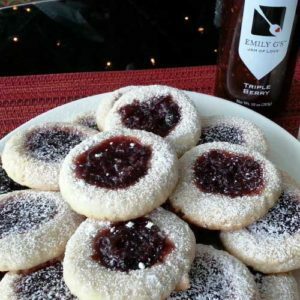 The fruitiness of the triple berry (cherry, raspberry and strawberry) and the warm sweetness of the chocolate work so well together. It was a miracle that we got to take a picture of them because I started eating them right out of the oven and couldn’t stop. 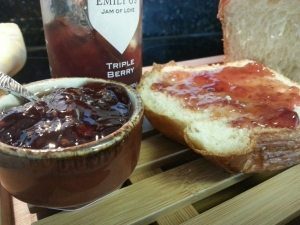 Toast a slice of Brioche and spread on our Triple Berry Jam. How easy is that?